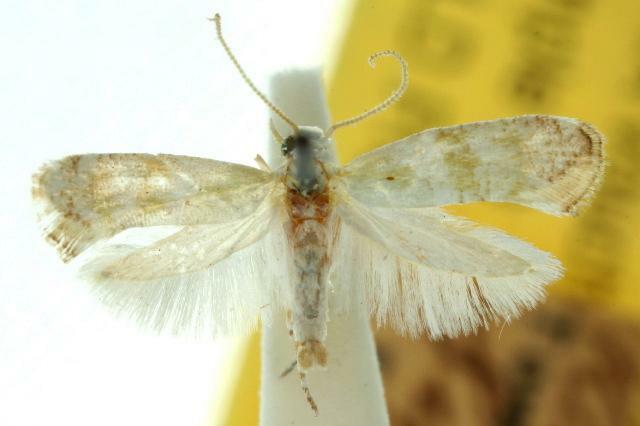 The adult moth has off-white forewings each with a ragged yellow zone at the base, two vague broad yellow bands, and some brown speckles around the margin. The hindwings are white shading to brown at the wingtips. Its wingspan is about 1.2 cms. Volume 1 (1915), p. 143.